SPOTMeeting™ is an easy to use imaging system for capturing and sharing high definition images with remote specialists in real time. Audio, cursor, annotations, files and software controls are also shared, and presenters can be swapped, making communication simple. 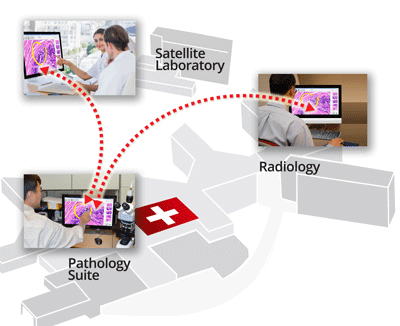 Remote specialists can participate in tumor boards without travel expenses. 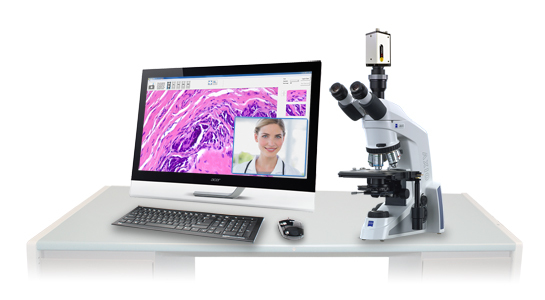 Pathologists can consult with PA’s from their offices. 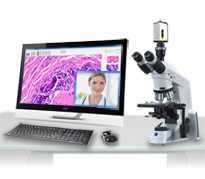 SPOTMeeting is the standard for digital pathology. SPOTMeeting provides a platform for high definition collaboration between remote meeting attendees. With its annotation, file sharing, and remote computer control capabilities, geographically isolated specialists can work together as if they were in the same room. Reducing travel time for highly paid hospital specialists is a smart decision for hospital administrations. 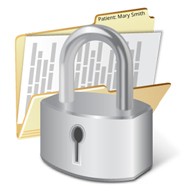 Fully encrypted transmission and simple direct connection ensures patient data is private and protected. controls are shared between meeting participants.